An Infotainment System allows the driver to access many of the features that can be offered on a vehicle which has become necessary considering the many features and options a vehicle can have. Imagine how a cellular phone operates, a smartphone in specific. Smartphones have many features and each one of them cannot be given a separate button so all of the features are arranged in menus and sub-menus and an infotainment system follows the same concept. Another similar concept followed by cars is the input system where one smartphone can have buttons to scroll through the menus and to input information or the phone can achieve these same functions by using a touch screen and have as minimal buttons as possible. A screen integrated in the upper part of the center of the dashboard. The various screens found in high end vehicles range from six to 12 inches in width and is commonly an LCD (liquid crystal display) screen. If the system uses a touch screen then the other parts of the system may not be required. Buttons, rotary dials or even a mouse like device to select and control what is displayed on the screen. 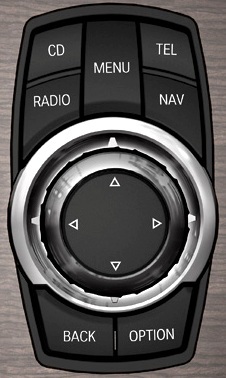 These controls are laid out on the dashboard or on the center console. Some infotainment systems also have buttons on the steering wheel in addition to the controls or the touchscreen. Some systems even have a remote to control some of the features in the infotainment system, especially the entertainment part of the system. The systems vary in technology and complexity, some features that will be incorporated into the infotainment system in one vehicle may be normally laid out in another vehicle. The factors that can make a good system will be whether the vehicle is hard drive based, the resolution of the screen and how easily the system can be operated. Most of the functions and luxury features of a vehicle can be controlled via the infotainment system. The exceptions in most systems are the basic automotive features such as the air condition controls, basic radio buttons and dials, the headlamps, indicators and the windscreen wipers. There are too many features in many of the high end vehicles to just list them all out in buttons all over the interior of the car. This is where the infotainment system comes in to be able to control the many features with a few switches or a single touch screen. The screen also serves as the display for the reverse camera and most night vision assist systems. The almost universal features to be operated using the infotainment system will be telephone functions, the navigation, advanced radio functions including satellite radio, telematic services, allowing bluetooth streaming or wired connections to cell phones, iPods and other mp3 players, even game consoles. Infotainment systems are used to control and/or display almost everything on the vehicle. Even features that are operated by buttons or switches external to the infotainment system a display still shows up temporarily in the infotainment screen. One example would be the power seats which have dedicated controls but adjustments can be seen on the screen in some vehicles. Some of the popular names of infotainment systems on the market today are BMW's i-drive, Audi's MMI (Multi Media Interface), Mercedes Benz Comand and Ford Sync/My Ford Touch but most of the systems on the market are not known by any particular name.